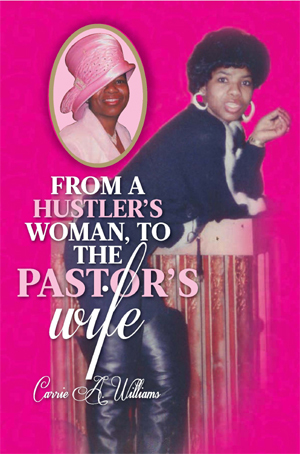 From a Hustler’s Woman to the Pastor’s Wife is the riveting biographical account of Carrie A. Williams, First Lady of the Labor of Love Apostolic Church, of Chicago Illinois. In a brutally honest fashion, Carrie tells the hard-hitting naked truth about the former life she once lived and loved. Being the companion of the most notorious hustlers and gangsters on Chicago’s Southside, she found herself in perilous circumstances, where she narrowly escaped prison and death. Unfulfilled and living a worldly life, Carrie soon discovered that God had a purpose and a divine destiny that would change her life forever. Now completely delivered by God’s amazing grace, First Lady Carrie Williams’ story is a great testimony of what God’s awesome power can do. As you read this phenomenal book, you too, will discover that only God can transform a hustler’s woman to a pastor’s wife.